Characters have contributed 250,000,000z to the priestesses in Rachel, so now the Rachel Sanctuary dungeon is now accessible. The priestesses Nemma and Panno are both hugely thankful for your contributions. 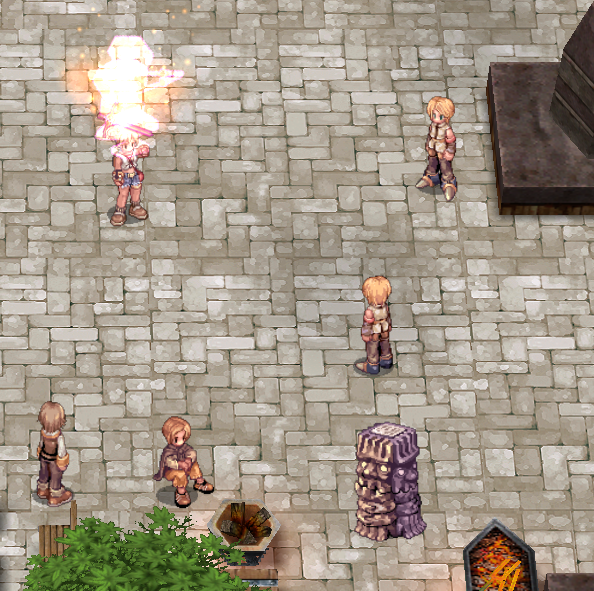 Re-added the refining NPCs to Izlude, including the bulk Rough Oridecon/Rough Elunium refiner. Removed unused Channel Warper NPC. Moved Scamps NPC out of the water. Characters no longer receive quest credit for kills when they are dead. This primarily affects bounty board hunting quests and is an important step before our bounty board expansion update scheduled for next week.